Powered by the quad-core CortexTM A7 MP processor clocked in at 1.3GHz, the T1 Plus will come with 2GB of RAM and 16GB of internal storage. There’s a 5-inch HD IPS display with 2.5D Curved Glass on the front which has a resolution of 720 x 1280 pixels to offer a pixel density of 294 ppi. Months after launching the Aqua Lions T1 Lite VR with 4G and Android Nougat, Intex is out with yet another entry-level Aqua Lions T1 Plus device available for an effective price of Rs 5,565. Weighing in at under 150 grams, the T1 Plus still comes with a 2,400mAh battery which Intex says will last you up to 6 hours when on call. In terms of imaging, there’s an 8MP(1.12 µm) autofocus camera at the back and a dual 8MP(1.12 µm pixel size)+2MP(1.75 µm) sensors on the front with LED flashes on both sides. The device tags a bunch of camera modes including a Real Bokeh Effect (Real-time & Capture), Background Change, Night Shot, Face Beauty, Face Detection, Panorama, Burst Mode. The device will run on Android 7.0 Nougat with a bunch of apps pre-installed on the device including Amazon shopping, Databack, Gaana, Intex Services, Newspoint, Qr Camera, SwiftKey, IndiGamez and UC Mini. For connectivity, the Intex phone supports Bluetooth, WiFi, GPS, FM Radio, 3.5mm headphone jack and a micro USB port. 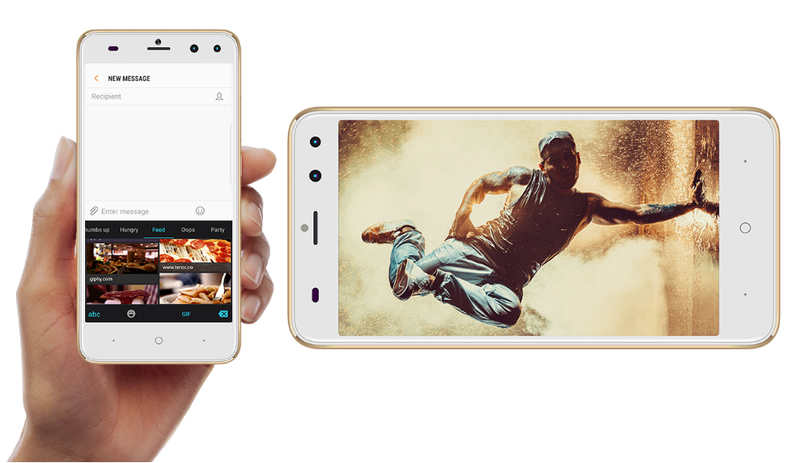 The Intex Aqua Lions T1 Plus is available in Champagne Gold, Black and Royal Red colours and will be sold for an asking price of Rs 5,565 in India.